Bow Island town manager Anna-Marie Bridge. 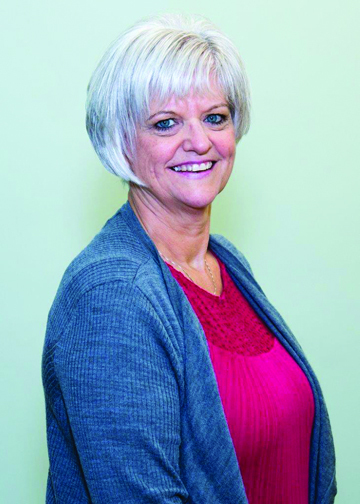 After 12 years as the town manager in Bow Island, Anna-Marie Bridge felt the time has come to retire as an employee of the municipality for 27 years with her last working day on Dec. 11, 2018. She felt the time will be right because she and her husband, Warren, want to spend more time with her three sons and two grand kids in the Calgary and Okotoks area. “I just thought it was a good opportunity to do it while I was still healthy and we were able to enjoy life,” said Bridge. A born and raised Bow Islander, she worked her way up the ladder by starting in payroll and accounts receivable, before moving into utilities and taxes and development permits, while taking the town manager position in 2006. “I think the councils I have worked with have been very proactive trying to do one large project every year,” said Bridge. Retirement could involves lots of camping in the summer and winter on the West Coast. She would have liked to seen more than a road block replaced every year but due to costs, it wasn’t feasible. A move to Lethbridge for nine years included a post secondary education and meeting her husband. It was an adjustment moving back for her husband’s transfer through the St. Mary’s Irrigation District in 1988, where he worked until 1999, before going to the Medicine Hat Fire Department in the same year. “What I like about Bow Island is it’s a small community,” she said. Council will begin the process of replacing her. The hope is to have someone hired by Oct. 1, so the new manager will have time to transition and get the information they need from Bridge. Bridge said she will be available for the new candidate for any questions they may have.